Joan Retallack’s seven volumes of poetry include Memnoir, Mongrelisme, How To Do Things With Words, Afterrimages, and Errata 5uite which won the Columbia Book Award in 1993, chosen by Robert Creeley. The Poethical Wager, a book of interrelated essays,was published in 2003 by the University of California Press which brought out her Gertrude Stein: Selections, with an extensive introduction to Stein’s work (2008). Poetry and Pedagogy: The Challenge of the Contemporary (Palgrave MacMillan, 2006) was co-edited with Juliana Spahr. Retallack was awarded a Lannan poetry grant in 1998. Her volume Musicage: John Cage in Conversation with Joan Retallack (Wesleyan University Press, 1996) received the America Award in Belles-Lettres. Procedural Elegies—a selection of her procedural poetry spanning the seventies through 2009—is forthcoming from Roof Books. Current projects are “The Reinvention of Truth”—an investigation in several genres, and a series of 101 short prose texts entitled “The Bosch Bookshelf,” from which selections in ILQ - 8 are drawn. 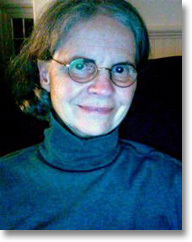 Joan Retallack is John D. and Catherine T. MacArthur Professor of Humanities at Bard College (in the Hudson River Valley north of New York City) where she conducts seminars on poetics and has directed the Language and Thinking Program for the last ten years. An Excerpt from "The Bosch Bookshelf"